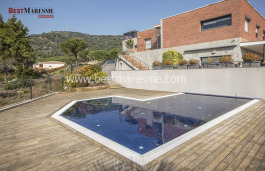 Spectacular luxury detached house for sale in the best residential area in Cabrils only just 20 minutes from Barcelona, ​​located in a very quiet area, surrounded by beautiful mountains and only 5 minutes from the beach. 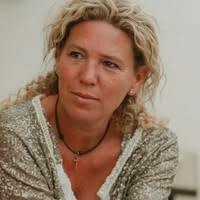 The village of Cabrils is known for being one of the gastronomic villages par excellence in Catalonia . 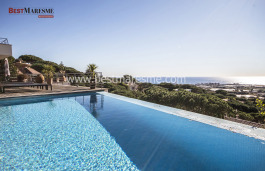 The house has 800m2 built surface located on 2,700 m2 private plot granted by rhe best sea views and mountains of the Maresme. Designed in a Mediterranean architecture fitted with the best high quality finishes. Built over 2 floors plus semi-basement. The main floor counts with a large living room with fireplace and excellent views through the large windows. On this same floor is the eat-in kitchen and cassette fireplace, pantry and laundry area. Through the hall entrance you reach three bedrooms that are on the first floor (2 of them en suite). The upper floor that can be accessed through the elevator, we find another living room with fireplace, four double bedrooms (2 of them en suite) plus an extra bathroom. All rooms are exterior and opened to a large terrace overlooking spectacular sea views. Equipped with the best quality materials. 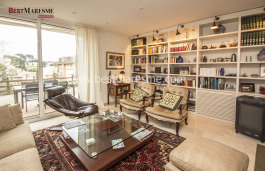 In the semi-basement floor is the leisure area, with gym area over two levels, jacuzzi for 6 people and shower, a spacious cellar with fireplace, two storage rooms and a garage for 5 cars. 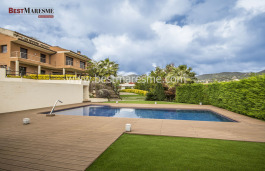 The 13 x 6 meter swimming pool is filled with salt water, surrounded by lawns and lush fruit trees, next to it a nice porch with barbecue area ideal for outdoor summer meals. It also has comfortable dressing rooms and shower. 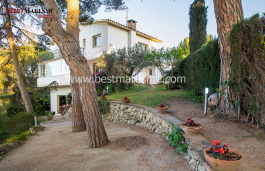 Definitely we are facing a luxury house for sale in one of the quietest areas of the Maresme, surrounded by nature and peaceful surroundings.